Posted on 01/11/2017 by Mickey McCarter	in Interview, Live Review and tagged Book of Love, Interview, new wave, New York City, Susan Ottaviano, synthpop. Book of Love released the first of four albums in 1986, and the New York City quartet continued making music through 1994. After initially disbanding, the synthpoppers have reunited occasionally to play their romantically melodic dance songs, and they reunited again last year. 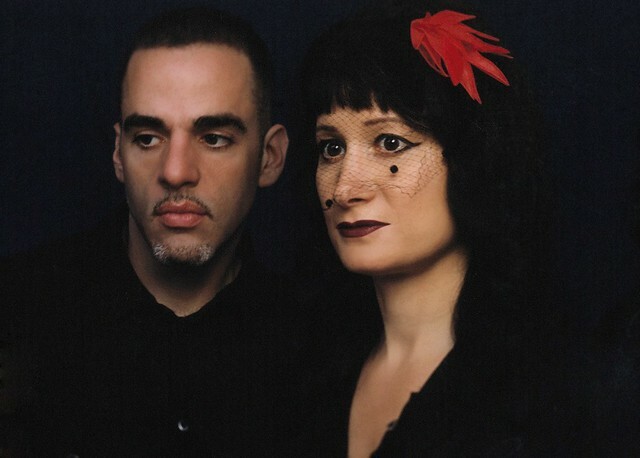 However, when touring these days, vocalist Susan Ottaviano and synthesizer player Ted Ottaviano (no relation) often perform as a duo without their bandmates Lauren Roselli Johnson and Jade Lee. And as a duo, Susan and Ted will return as Book of Love to DC for the first time in many years to perform at U Street Music Hall on Saturday, Feb. 11. Mickey McCarter: Hello, Susan! I’m so happy to talk to you! I absolutely love Book of Love, and I’m so happy that you guys are back. How are the shows going? How is everything coming together? Susan Ottaviano: Well, we’re certainly excited to be back in DC. We’ve waited a long time to secure the show there. 9:30 Club was always a huge peak on the tours for us. We just always had a great time in DC, and we have such a wonderful following there. So, we’re excited to be coming back. On the whole, this has been a 30th anniversary tour, and it’s been great. It’s really been my favorite reunion so far. MM: Terrific. You know, now you and Ted [Ottaviano] play as a duo sometimes, and sometimes you play as the classic quartet. What can we expect in DC? SO: We are appearing in DC as a duo. It’s confusing a little bit but we’re only doing three reunion shows with all four members. We did one show in New York, and then we’re doing a show in Houston and San Francisco in February with all four of us. The whole tour that we’ve been on for the last nine months has just been Ted and I.
MM: Is there a different dynamic then when you tour with just you and Ted versus all four members? SO: We miss the whole band, but we do what we can in today’s world with everybody’s schedules and the price to put up a show and everything like that. But we’re enjoying it. It’s different when you are used to being part of an ensemble, but it is the way a lot of bands are getting back together with not all the original members being available. So, Ted has designed the show to work in a way where it’s just the two of us, and hopefully everybody enjoys it. MM: Well, it sounds great. So many classic and new synthpop bands play as duos with a singer and a synthesizer player. SO: I could see that. That might have happened if we had started the band today — especially with the way that live shows are going. When we were on tour in the 90s and such, it was a pretty expensive show to put on. And it’s difficult to do that today. MM: Understood, completely understood! So, with your 30th anniversary, you guys recorded a couple of new songs for a retrospective package (MMXVI – Book of Love – The 30th Anniversary Collection [released in June 2016 by Sire/Rhino Records]). I gave those songs a listen, and I like them. They have that same cachet, if you will, as some of the early Books of Love songs. Did the process of making those songs feel like classic Book of Love to you? You know, times have changed in the 15 or 20 years we were broken up. Music has changed a lot, and I think it’s come back full circle. In the ‘90s, it was tough for us to continue to make the music that we were making. And the pendulum has swung a little bit more in our direction again, and people are interested in melody and things that were not as much going on during grunge in the ‘90s. And I also don’t feel like we’re under a lot of pressure to create. We’re just trying to please ourselves and to understand where we fit into the world of music. And then to create a good Book of Love song is a goal. MM: Yeah, I feel like your return is well-timed given that there’s like a good appetite for synthpop out there right now, when 15 years ago that wasn’t necessarily the case. SO: It’s the way things around. The ‘80s were very informed by the ‘60s, and I think that a lot of artists are kind of influenced by melody again, and now we have influences from the ‘70s in the sound again. We fit into that as well. MM: When it comes to the ‘80s, I always draw a parallel to today with music and technology. Everybody’s got this powerful technology now on their phone, where they can make videos and put selfies up on social media. In a similar way in the ‘80s, the synthesizer become commoditized so bands like Book of Love were able to seize upon this new tech and be really creative with it. I always believe that commoditization was one of the reasons that there was such a boom of creativity at that time. SO: Yeah, that’s a good point, because that’s exactly what happened. Now everyone has access to that kind of equipment. At our point, you still had to get a record deal to get into a studio like we did and use some of this stuff. Now, everybody can have it in their house, and it depends on what they do with it. But for us, basically that is what happened. We got into a studio, and Ted went crazy. He could compose and play with different instruments and that’s how it became what it was. MM: I think of you as a very visual person. In your videos, you always present yourself in a carefully artistic way. You’re very interested in style and appearance. You’re a painter. You’re a stylist. How important is presentation to you in performance? SO: We were art students first. And one of the things that you learn in art school, if you learn anything, is just about sensibilities and creating. With pop music, you are creating a mood. You’re creating a sound. You’re creating a sound and vision. And that that’s all part of it. So, I would say for us, it’s very important. It’s the way we think. We can’t think another way. That’s always been part of it. MM: Do audiences react to that? SO: Definitely. If we continue to follow what it is that we did — the small contribution that we made us very special — that resonates with the fans. It’s a great thing because it gives us clarity. It might have been confusing at one time when you hear, “You should be doing this or you should be doing that.” Now it’s just our instincts. This is what we had to say that was special or different. With some of the weird things that we did — well, at the end of the day, we’re an alternative band. That’s what we are. We dressed and did things that spoke to people who were alternative themselves. MM: Speaking of things that speak to people, I must ask you — 2016 was a pretty tough year for the arts and all the icons that we lost. David Bowie. Prince. George Michael. Did any of those losses particularly affect you? SO: We were just talking about this yesterday. Ted could tell you, and he should be the one to discuss this. But this whole reunion was based on the death of David Bowie. Certainly, for Ted, that is his number one icon. Bowie was a real artist’s artist. He was such an inspiration. Of course, as the year continued, it just got crazier and crazier. It was sad for a lot of different reasons. But definitely David Bowie was Ted’s number one influence. And I think his passing inspired a lot of artists to start to create again. I do. MM: I couldn’t help but think how you guys were talking about in some of your more recent interviews how some of your first songs like “Boy” and “Pretty Boys and Pretty Girls” were influenced by the gay nightclub scene in New York around the time you were starting out. And I was thinking of how Bowie and Prince and George Michael — all of them — they spoke beyond gender and in very powerful ways. And again, how fortuitous it is that your return is helping to fill that void. SO: I hope so. After the election, we were feeling maybe not so excited about going out and shaking our booty. But in the new year I feel like we must try not to lose it because things are going to get worse. And where would life be without the arts? We must try to remain focused and continue to create even though we’re swimming against the tide. And there’s an important need for that. There’s a need for that. And I guess that’s what I’m saying about Book of Love. We didn’t appeal to everyone. But in my life, there are artists that completely changed me that maybe some people don’t even know about. That’s what we’re talking about in our song “All Girl Band.” It’s about a lot of post-punk bands, about girl bands, in the early ‘80s that a lot of people didn’t know about. And they should. You know, Adele doesn’t need my help. And it’s exciting to seek out new things and other influences. That’s what’s affected my life. MM: I get it. Do you hear anything new today that you listen to or support? SO: I like things like Beach House and Keane. I like a lot of the music that’s going on today. I’m interested in hearing what’s going on. I also have a teenage son who likes listening to rap. MM: After Book of Love wraps up this tour, what’s next? Do you record again? Tour some more? What happens in the future? SO: We have a CD single that is coming out for “All Girl Band” in February. And it will have a bunch of remixes. We were originally going to have some live tracks on that but now we’re thinking of recording again and recording a live album. And we’re continuing to work with the catalog and add some visuals to it and see where we can go forward. The new market for legacy artists like us can be a little grim. People aren’t necessarily buying albums the same way. But we’ve discussed our goals for 2017, and we want to continue and see where we can take this next. MM: That is good news. I think you’ll continue to find that people are waiting for you with open arms. SO: That’s meant a lot to us. The most important thing out of our whole career is that this music has meant a lot to a dedicated group of people. It’s meant a lot to those people, and that’s a reason to continue. MM: Anything else before we let you go? SO: We’re just looking forward to you seeing our fans again in DC. We have a special place in our hearts for time there, and we’re looking forward to seeing it again. MM: We’re looking forward to seeing you here in February as well! Tickets to see Book of Love are available online. You also can buy a $50 VIP upgrade that includes a pre-show meet and greet with the band and early admission to the venue. VIP check-in is one hour before doors open.